Seyðisfjörður is a small village located at the end of the Eastfjords, in Iceland, in the Austurland region. The first inhabitants of Seyðisfjörður arrived in the area in 1848; it was Norwegian fishermen. The typical wooden houses, for which the country is known, were for the most part built by them. During World War II, Seyðisfjörður was used as an Anglo-American military base. The settlement is 27 km away on a scenic road from Egilsstaðir. The village of Seyðisfjörður is surrounded on three sides by mountains, and many waterfalls can be found around the village. Seyðisfjörður is also connected by sea: every week there is a crossing of the Smyril Line ferry from (and of course for) Hanstholm in Denmark, and Tórshavn in the Faroe Islands. 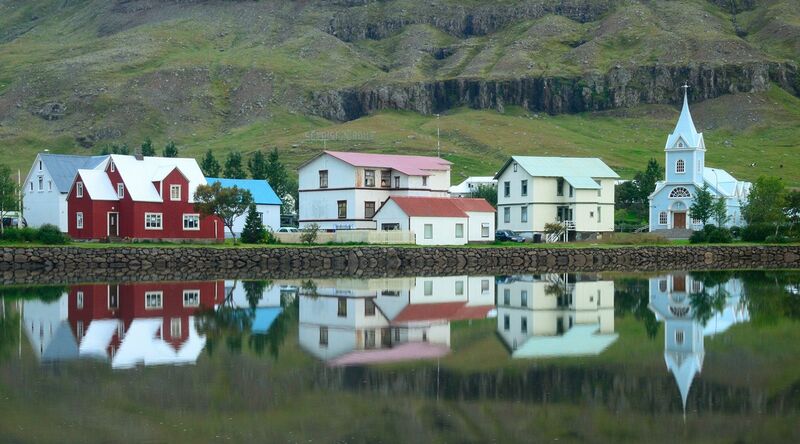 Do you want to travel with your family to get to Seydisfjordur? Do you like adventure and freedom and you want to reach the destination Seydisfjordur with your moto ? These are the shipping companies that serve the routes to Smyril Line.